With our Press Freedom Incentive Fund, PEN America, with the help of its Michigan-area Members, has completed three press and media advocacy events. 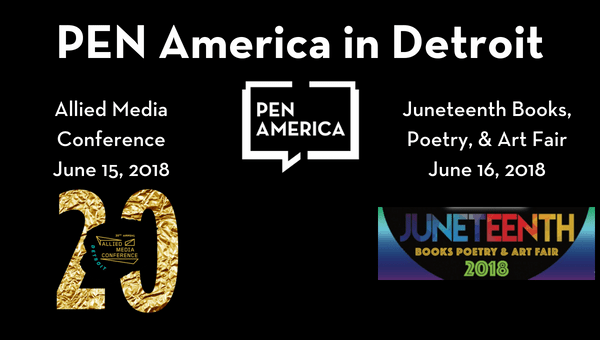 Come join PEN America in Detroit again for the Allied Media Conference from June 14th through June 17th and the Juneteenth Books, Poetry, and Art Festival on June 16th. While Juneteenth commemorates the abolition of slavery in the U.S. state of Texas and the emancipation of slaves throughout the Confederate states three years after the emancipation proclamation was signed into law, it highlights the importance of being able to access information. Access is important now more than ever with many Americans today living in media/news deserts as well as broadband deserts (without access to high-speed internet). In order to make informed decisions and be better informed citizens, access to a robust press and factual news is of the upmost importance. PEN America will spend time getting to know Allied Media Conference attendees, introduce conference participants to the work of PEN America, and discuss membership opportunities at 12:00PM on June 15th at the 20th Annual Allied Media Conference. 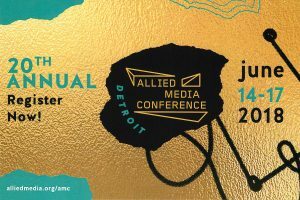 The Allied Media Conference brings together a vibrant and diverse community of people using media to incite change from filmmakers, radio producers, youth organizers, writers, and more. 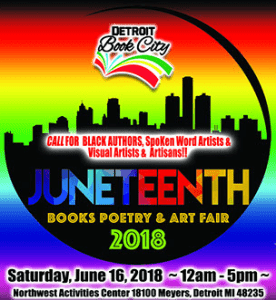 PEN America will also be at the Juneteenth Book Festival hosted by Detroit Book City on June 16th at 5:00PM. PEN America will be providing keynote remarks about the importance of information access during Juneteenth and how this is still relevant today, almost 155 years later. The Juneteenth Book Festival celebrates “FREEDOM” in the expression of books, art, and spoken word at the family level.